New Gluten-Free Coupons are coming in May from Glutenfreecoupons.ca! 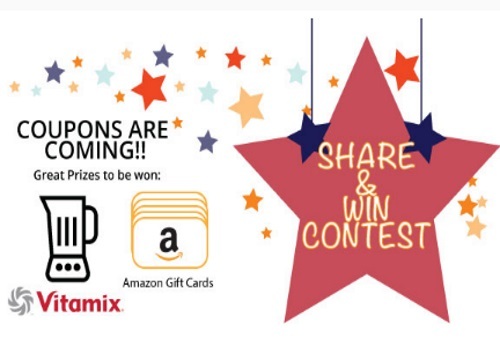 Enter their "Coupons are Coming" Contest for a chance to win a Vitamix blender, or 1 of 10 Amazon gift cards! Coupons include Enjoy Life Foods, Catelli Foods, and Breton Gluten Free. Entry deadline is April 29 at 11:59pm ET!